The Melton Shire Council require the registration of all cats and dogs over the age of 3 months old. You must renew pet registrations before they expire on 10 April each year or penalties may apply. Please click on the picture below for more information on the Melton Shire Council's animals rules and your responsibilities as pet owners and to download a registration form. 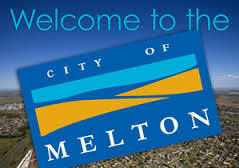 The Melton City Council provides an after hours service for urgent matters, please contact the Council on 9747-7200 and you will be re-directed through to a paging service who will notify the on call ranger.